With John Cash Realty as your real estate agency, we will help you reach the level of confidence that allows you to purchase that perfect property. 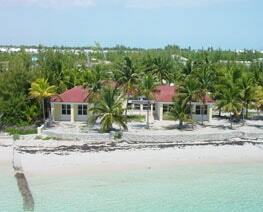 Our Managing Broker and all of our agents have extensive knowledge of the local Bahamian real estate market. Our commitment to excellent service has led to numerous happy clients and endless referrals. We hope that you will allow us the privilege of assisting you in this endeavor. We will be happy to inform you about investing in our country. Our agents are licensed members of the Bahamas Real Estate Association (BREA) and network with all Bahamian and international realtors. 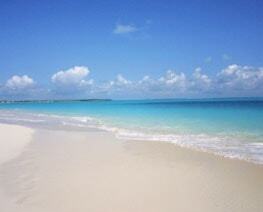 We can represent you at any of our many islands in The Bahamas, including new developments. At John Cash Realty, our commitment is to turn your dream of home ownership into reality, while looking out for your best interest. As a professional real estate agency at John Cash Realty, it is our job to help you every step of the way. Our first goal is to meet with you and assess your needs. Together, we will determine what you want in a home, where you want to live, and what you can afford. We will also prioritize your wants, so that we will know which attributes you want most in your future home. Next, we will begin showing you homes that meet your criteria – and that means only those homes that meet your criteria. We will also help you understand the real estate market, so you will understand the resale value of different types of homes in various communities in Abaco. Negotiating with the seller to get you the lowest possible price. Guiding you through the inspection process. Facilitating the loan process with your bank. Coordinating with the attorney and bank officer to ensure that all documents are ready for closing. When everything is in order, we will walk you step-by-step through the closing process. Our job is not finished until we hand you the keys to your new home! 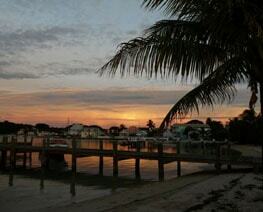 Selling a home can be a challenging task for you in The Bahamas. How much should you ask? 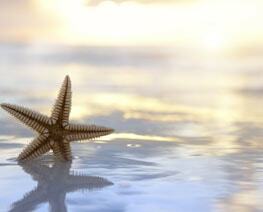 How will you attract potential buyers? Answering these and other difficult questions regarding the sale of your home is much easier with the help of a knowledgeable and trusted real estate broker. For over twenty years, we have successfully navigated many clients through the home-selling process, and we look forward to doing the same for you. To start, we will personally visit your home and conduct an assessment of its market value. Together, we will determine a selling price that is right for you. We will also suggest possible improvements that will attract potential buyers and increase the value of your home. Next, we will discuss a marketing plan, which can include Web listings, newspaper advertising, flyers, direct marketing, and open houses. Our goal is to attract a buyer for your home as quickly as possible. During the negotiation and inspection processes, we will serve as your representative and guide, to keep you informed, protect your interests, and ensure that you receive the best possible price and contract terms. Finally, we will work with the attorney to see that all documents are properly filed for sale and that you are well-represented at the closing. Stamp tax is payable on conveyances, assignments or transfers of all real property at 10%. Value Added Tax of 12% is payable on real estate commission and legal fees. It is customary for the Stamp Tax to be shared equally between buyer and seller unless otherwise agreed upon. “Owner-occupied Property” is defined as (real) property occupied by a person who being the owner in fee simple or a mortgager in possession, occupies and resides in such property exclusively as a dwelling house (place) on a permanent or seasonal basis. Owner-occupied property may be rented out on a seasonal basis for periods (in aggregate) not exceeding nine (9) months in a calendar year. 2.) collect and pay a hotel guest tax of six per cent (10%) of the total room rate. This tax must be paid by the 15th day of each month and must be accompanied with a monthly return of a Hotel Guest Tax Form. Open Listings – The property owner signs a listing agreement with any number of Realtors, the Realtor that sells the property is entitled to the commission. The owner may also sell the property her/himself and if so, is not obligated to pay any commission to any of the open listing agencies. Exclusive Listings – The property owner signs an exclusive listing of the property to one real estate company, there will be a time period defined in the agreement, this entitles the listing agent to the commission regardless of who sells the property. With an exclusive listing the Realtor is now able to co-brokerage the property with other Realtors at an agreed commission split.